How Was the Black Hole Image Achieved? #Space #EHTblackhole #EventHorizonTelescope « Adafruit Industries – Makers, hackers, artists, designers and engineers! 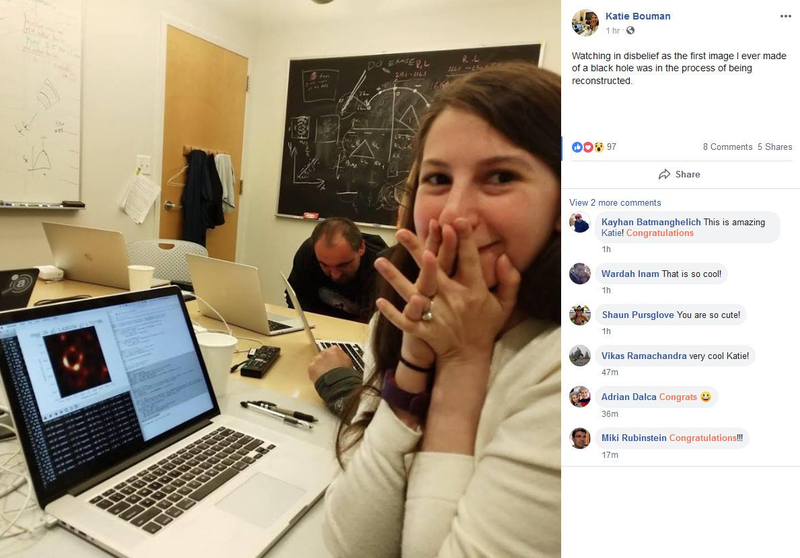 While still studying at MIT, the computer scientist Katie Bouman came up with a new algorithm to stitch together data collected across the EHT network. Bouman went on to lead an elaborate series of tests aimed at ensuring that the EHT’s image was not the result of some form of technical glitch or fluke. A global team of astronomers, led by Harvard scientists, have captured an image of a black hole for the first time. The result of a massive, years-long effort by dozens of researchers, the Event Horizon Telescope focused on a pair of supermassive black holes – the one at the center of the Milky Way galaxy, known as Sagittarius A*, and a second that lies at the heart of an elliptical galaxy called M87.